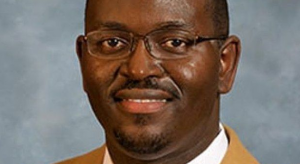 WASHINGTON — “Our hearts are with the families of the victims,” said Priscilla Ouchida, national director of the Japanese American Citizens League, in response to the tragic violence at the Emanuel AME Church in Charleston, S.C., where nine innocent people, including the pastor, were killed at a religious meeting. Strong leads and alert work by law enforcement resulted in the arrest of a suspect who has been returned to South Carolina. Charleston Chief of Police Greg Mullen has labeled the shooting as a hate crime. Ouchida added that as a national civil rights organization, JACL welcomes involvement by the U.S. Department of Justice to investigate and determine whether the violence in Charleston constitutes a hate crime. Clementa Pinckney, one of the shooting victims, was pastor of Emanuel AME and a South Carolina state senator. Asian Americans Advancing Justice-L.A. expressed “sadness and outrage” and said that it “strongly condemns the targeting and taking of African American lives. We condemn this as an act of domestic terrorism against the African American community and we support the law enforcement investigations into these attacks as racially motivated hate crimes. Michael W. Kwan, national president of OCA-Asian Pacific American Advocates, said, “It is with profound dismay that we acknowledge that such a tragedy can take place in 21st-century America, and this hate crime should serve as an indicator of how far we have failed to come in race relations. “The Asian American and Pacific Islander community shares the pain of the black community in Charleston, as we have also experienced killings motivated by hate, including the murder of Vincent Chin almost 33 years ago today by Ronald Ebens and Michael Nitz. He, like the victims of this murderous rampage, had done nothing wrong except to be of a certain color and therefore a target in the mind of a racist killer. “We hope that justice comes swiftly to the Charleston shooter and that he is prosecuted to the full extent of the federal law surrounding hate crimes, unlike Chin’s killers, who served no jail time for his murder. “Make no mistake, this slaughter of innocents is an act of domestic terrorism designed to instill fear in communities of color and advance a white supremacist political agenda. However, by standing united, we send a loud and clear message that proud voices of color will not be suppressed and we will continue to fight for a new day when Americans can safely congregate in places of worship, commerce, community centers, public spaces and in our own homes, knowing that we will not be hurt or killed simply for the color of our skin. Rep. Judy Chu (D-Pasadena), chair of the Congressional Asian Pacific American Caucus, stated, “I am horrified by the senseless violence that claimed nine lives last night at a historic black church in South Carolina. I commend the authorities for quickly apprehending the suspect, but his arrest is only the beginning of the process of recovery for Charleston and the entire country. “We must begin by making clear that the hate which motivated the shooter has no place in our society. Hate crimes are intended to create fear, which is why we must respond with courage. I stand with the community, whose unity rings louder than this hateful act, and I am committed to working towards a safer country where houses of worship for all faiths are places of peace and welcome.